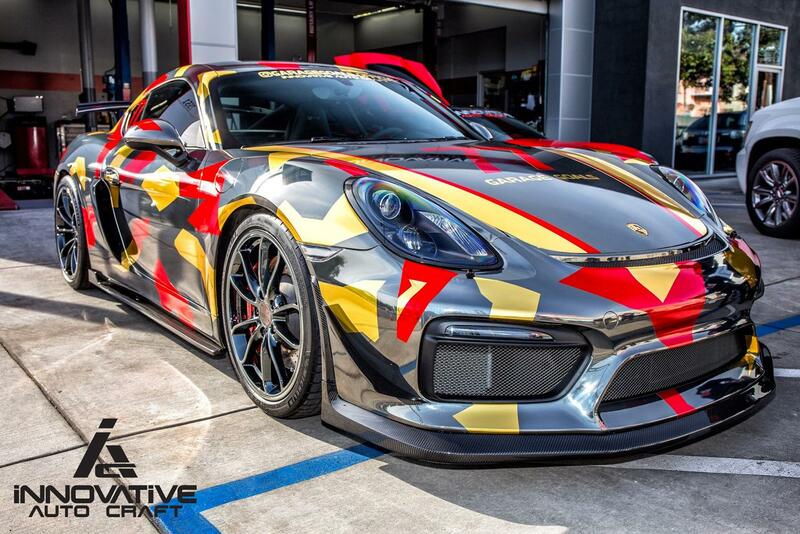 If you attended the Toyota Grand Prix of Long Beach earlier this year, you may have noticed one of Innovative’s custom creations during the convention that followed the legendary race … remember the Porsche we featured in our last blog post? Well that bad boy was one of the many amazing vehicles featured at Garage Goals’ booth. The Toyota Grand Prix of Long Beach is an IndyCar Series race held on a street circuit in Long Beach, California. It is said to be the longest running major street race held in North America. The circuit layout has changed countless times since the race’s inception, but almost all layouts have featured a signature hairpin turn, main stretch along Shoreline Drive, and back stretch along Seaside Way. The Lifestyle Expo portion of the weekend’s events includes about 150 brands and companies – ranging from automotive, home, recreation, travel and entertainment. During this expo, more than 180,000 attendees browse each booth for the latest products and services in the industry. Nestled in the Long Beach Convention and Entertainment Center, with over 270,000 square feet of exhibit space, Garage Goals was set up in the prime location to also display the Dodge Viper ACR, McLaren 720S and David Lee’s Ferraris, including his Enzo and LaFerrari which turned heads all weekend. There’s no way you missed the Koenigsegg Agera RS (which achieved five new world records for a production vehicle in November) Record speed of 447.19 km/h (277.87 mph); completed the 0-400-0 km/h in 33.29 seconds; highest average speed for a flying kilometer on a public road; highest average speed for a flying mile on a public road and the highest speed achieved on a public road. Safe to say that each car in their booth was better than the next, but we can’t help but notice that there was nothing like the chrome wrap on the Porsche to set them apart from the rest! To collaborate with Innovative Auto Craft and create a custom vehicle wrap or add decals, contact our team today.